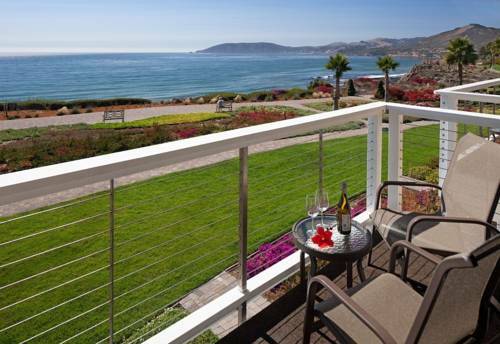 Set atop the ocean front bluffs of Pismo Beach; The Spyglass Inn provides visitors with a spectacular panorama of Californias Central Coast. Whether seeking adventure and romance or peace and tranquility this stretch of California coastline offers a dramatic beauty that lures travelers from all over the world. The sound of distant breaking waves will lull you to sleep at night and you may decide to enjoy breakfast on the Spyglass Restaurants ocean view sun deck. The Spyglass Inn is a destination for relaxation business meetings and family gatherings. Guests return year after year to visit the nearby attractions of Hearst Castle/Lake Lopez California Polytechni University at San Luis Obispo and the Missions and museums of San Luis Obispo County. Ideal for groups - The Spyglass Inn has excellent Banquet facilities and a Conference room for group meetings. The Spyglass Restaurant is open for breakfast/lunch and dinner. Dine inside or out on our heated oceanview deck. The lounge offers a relaxing ocean view setting as well.